Song lyrics by Johnny Cash. Check-out these awesome song lyrics by the artist, learn every word of your favourite song and sing it like Johnny Cash. 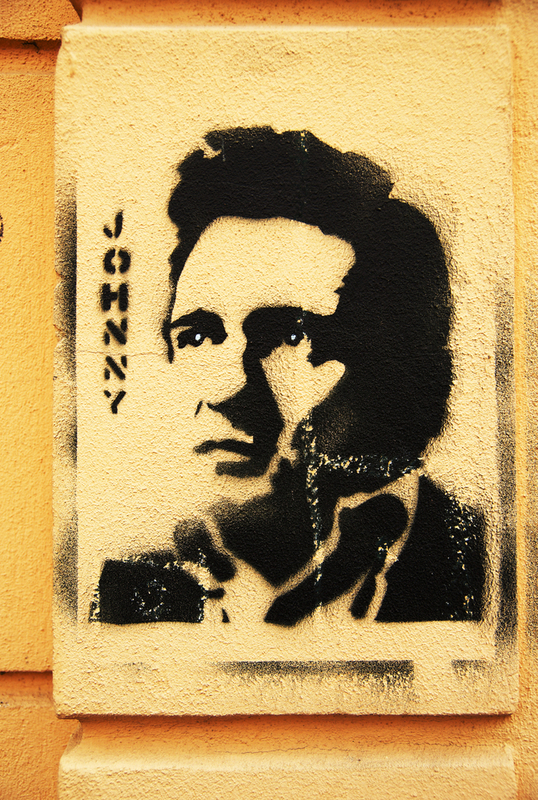 Get one of the 335 lyrics and watch the video by artist Johnny Cash. Fools Hall Of Fame Lyrics Greatest! Goodbye Little Darlin´ Lyrics Greatest! Hey Good Lookin' Lyrics Greatest! Honky Tonk Girl Lyrics Now, There Was a Song! I Could Never Be Ashamed From You Lyrics Greatest! I Couldn't Keep From Crying Lyrics Now, There Was a Song! I Feel Better All Over Lyrics Now, There Was a Song! I Forgot To Remember To Forget Lyrics Greatest! I Just Thought You'd Like To Know Lyrics Greatest! I Will Miss You When You Go Lyrics Now, There Was a Song! I'd Just Be Fool Enough Lyrics Now, There Was a Song! I´m So Lonesome I Could Cry Lyrics Now, There Was a Song! Just About Time Lyrics Greatest! Luther Played The Boogie Lyrics Greatest! My Shoes Keep Walking Back To You Lyrics Now, There Was a Song! Rock And Roll Ruby Lyrics Greatest! Seasons Of My Heart Lyrics Now, There Was a Song! Thanks A Lot Lyrics Greatest! Time Changes Everything Lyrics Now, There Was a Song! Train Of Love Lyrics Greatest! Transfusion Blues Lyrics Now, There Was a Song! Why Do You Punish Me Lyrics Now, There Was a Song! You Tell Me Lyrics Greatest! You Win Again Lyrics Greatest!